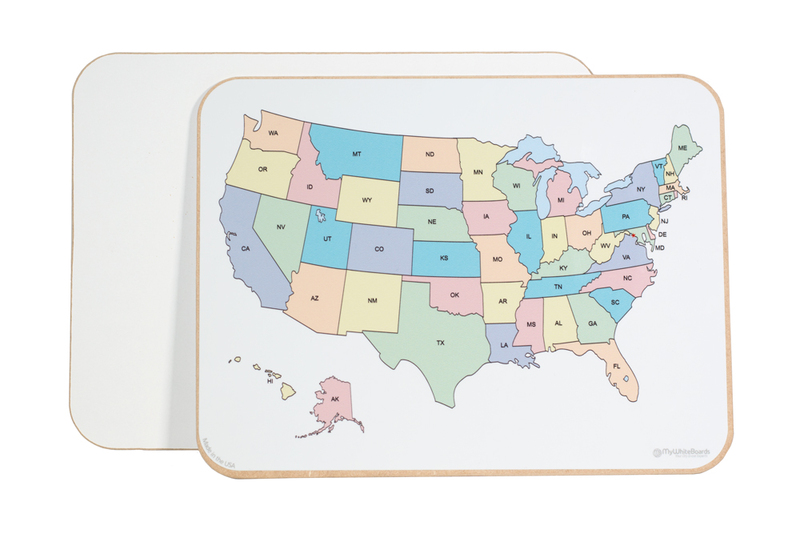 U.S. state map student lap boards. 9 x 12 individual student lap boards are great learning tool in any classroom but add a map of the U.S. onto one side and now the possibilities are endless. 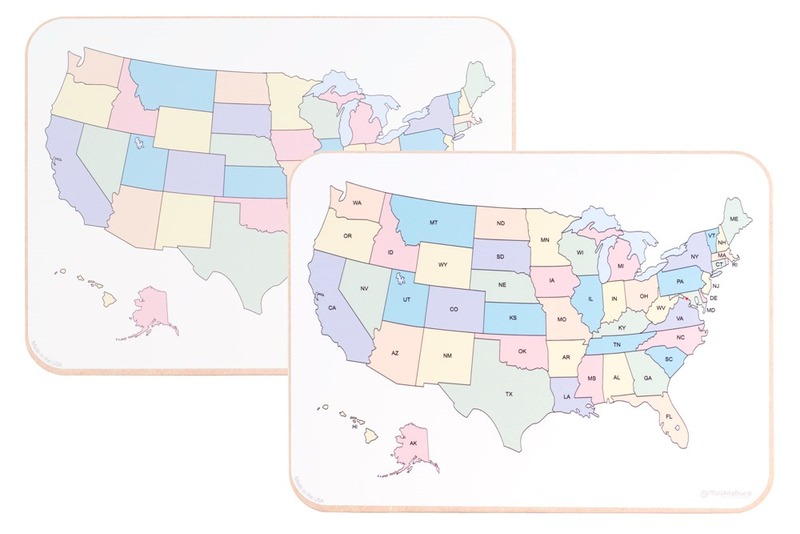 How many different lesson plans can you think of to use these? 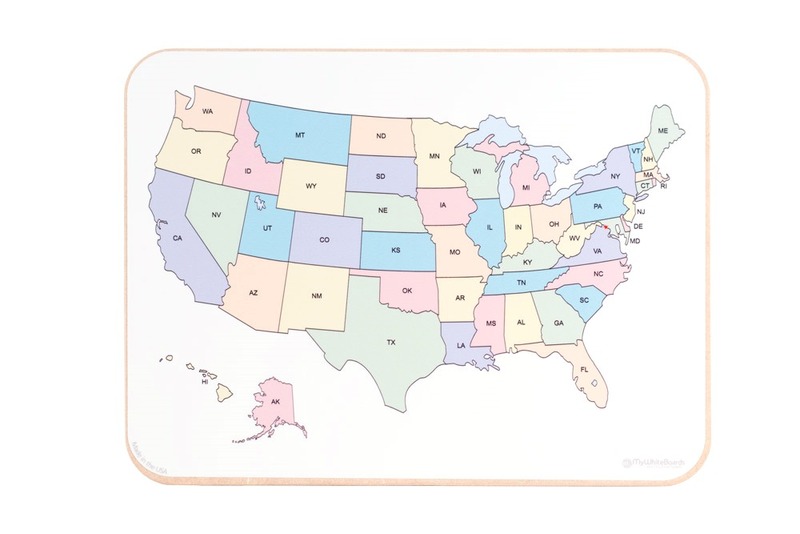 GR-LB-MAP-ST: This option shows the states and each one is labeled with the name abbreviation such as MA for Massachusetts. 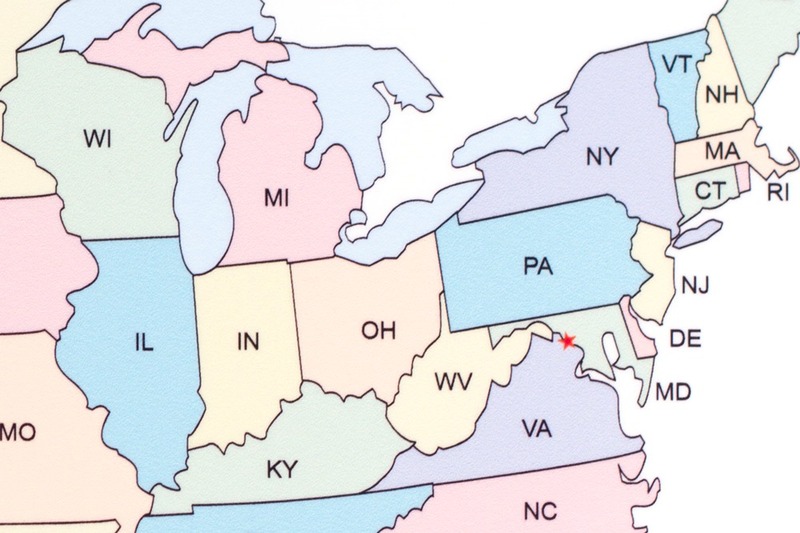 GR-LB-MAP-NS: This option simply shows the states without the name abbreviations. The lap boards are all double sided. 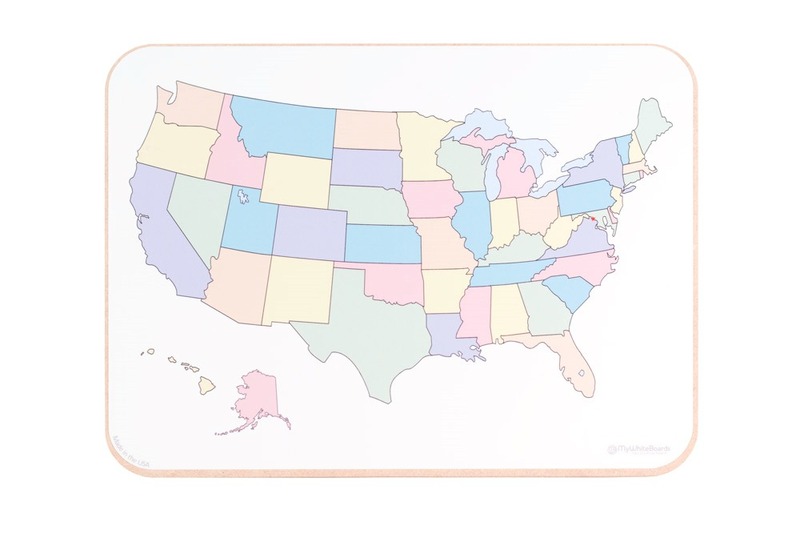 We apply the dry erase map print to only one side of the board. The other side is left with the original white dry erase writing surface. 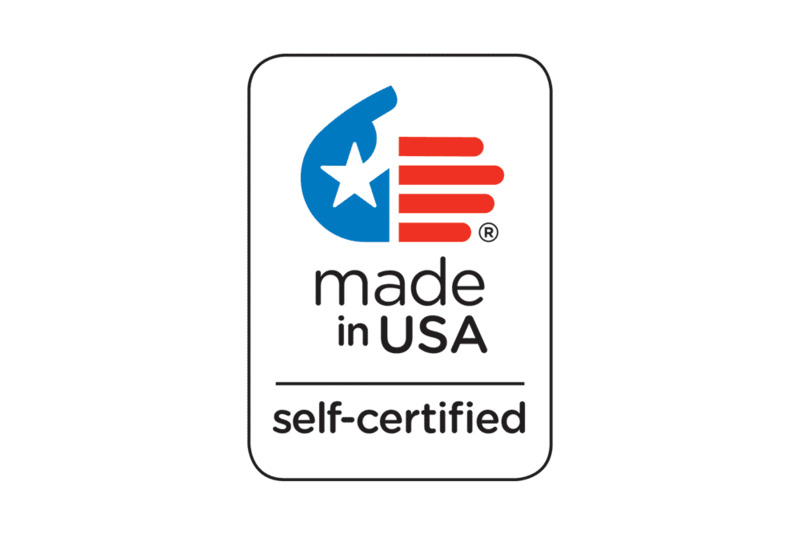 All made in the U.S.A. and School Purchase Orders are always accepted.